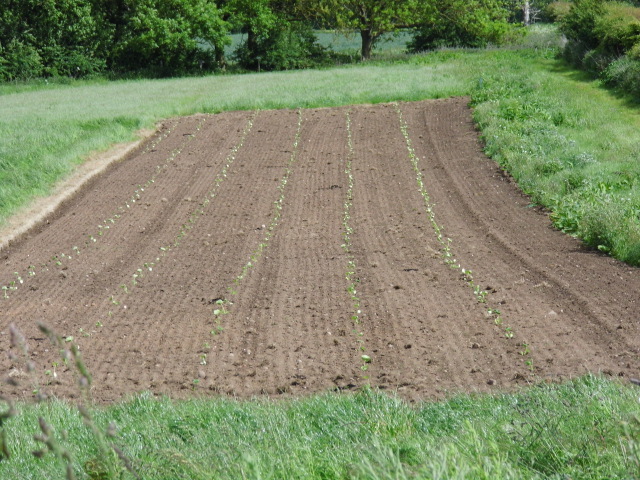 Phil Allen, Head Gardener of Apley Walled Garden, has just updated me with these photos & accompanying snippets of news. He’s planted 500 racer pumpkins ready for the 2015 Spookley Pumpkin Festival at Apley Farm Shop, 26-31 October. Adrian, Apley’s Farm Manager, prepared the ground about 4 weeks ago by spraying off the grass & turning the soil over. The pumpkins were grown from seed in the Peach House (glasshouse) in Apley Walled Garden & are now about 5 weeks old (they sound like kittens !). All being well, we should get between 3-5 pumpkins per plant. 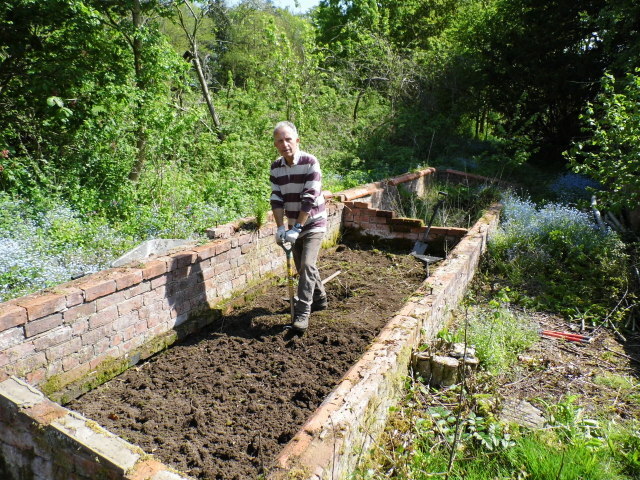 One of our volunteers Jonathan has been very kindly working in the cold frames clearing weeds & roots ready for the frames to be repaired this winter, so they can then be planted with asparagus. Renovation works continue on the Glasshouse nearest the melon pit. Jason (Apley Estate property team) has started to paint the ironwork. The manufacturer’s name is still clear on the ventilation lever. 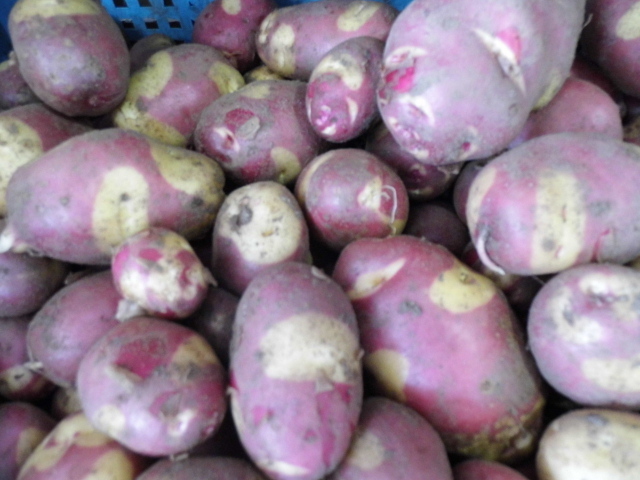 These colourful Apache potatoes will be available in Apley Farm Shop this weekend, in time for Open Farm Sunday on 7 June.